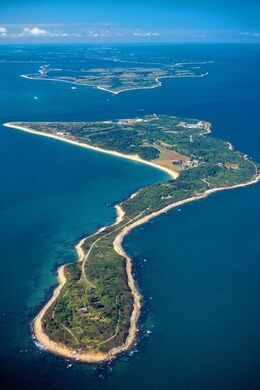 A tiny islet just off Long Island offers a wealth of infectious curiosities. The infamous "Building 257" on Plum Island. For many, the mere mention of ‘Swine Flu,’ ‘Avian Influenza’ or ‘Mad Cow Disease’ can set off twinges of paranoia and an irrational fear of lunch. 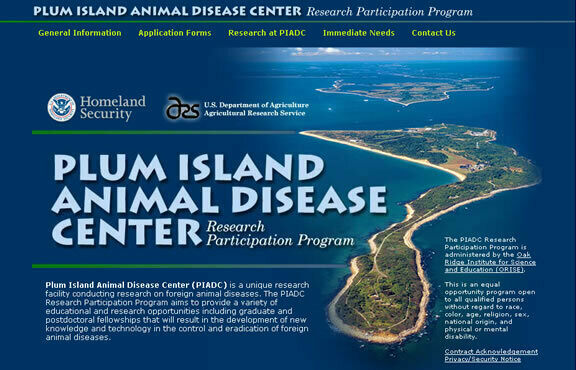 But for the researchers at the Plum Island Animal Disease Center (PIADC) off the coast of Long Island, New York, these terms set off a different sort of excitement. For over 50 years, this tiny island has housed a government-run research operation concerning animal-borne diseases. First a military base tasked with researching bio-weapons, that program was shut down by President Nixon in 1969. PIADC is now a joint effort between the Department of Agriculture and the Department of Homeland Security, with the only stated objective being to research existing animal diseases. While technically not researching bio-weapons, the center’s primary function is to examine extremely dangerous diseases and study their potential impact on the population and agriculture of the United States. This includes their potential use as weapons by agro-terrorists - thus the inclusion of Homeland Security. Diseases studied by the PIADC include foot-and-mouth disease and swine fever, with a particular focus on likely or easily weaponized strains. Legend surrounds the island due to its history as a secretive military base and its original objective of creating and studying new biological weapons. Locals still contend that research is done on animal breeding, particularly hybrid animal creation. The latter concern is evidenced by the relatively famous “Montauk Monster” incident, during which the carcass of an apparently vicious and unrecognizable creature washed ashore on the mainland. Locals immediately suggested its origin was Plum Island, contending convincingly that it was an escaped lab experiment, captivating the local media. Experts eventually concluded that the mystery creature was simply a raccoon, and its odd appearance the result of waterborne decomposition. The legend, however, remains. 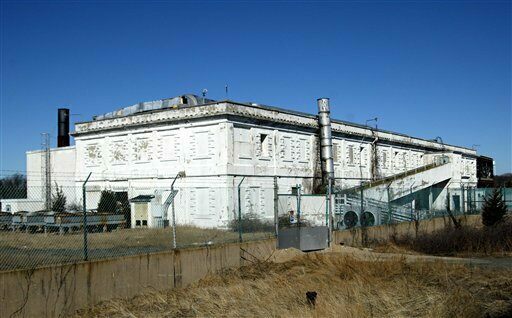 Many buildings on Plum Island are dilapidated and no longer in use, mainly due to the changing purpose and function of the facilities it housed as decades have worn on. However this “abandoned” gestalt has only fed local intrigue about shadowy operations and diseases run amok, including legitimate concerns about potential risks posed by the island’s history and activities. Many such claims were made by Michael C. Carroll, PhD, who suggested in his book Lab 257 that the facility was responsible for several disease outbreaks in the past half-century, including recent West Nile Virus scares. Just off the shore of Long Island, in Plum Bay. Etchings in a pile of boulders on the Long Island Sound are a monument to vanquished native peoples.